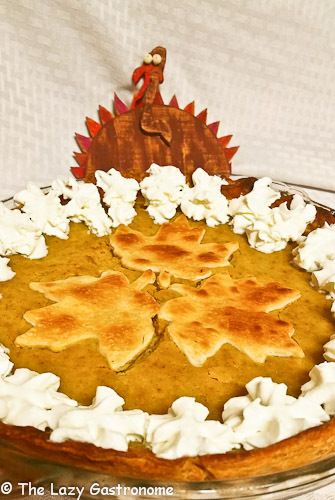 Nothing says Thanksgiving like pumpkin pie! And maple syrup just gives it a real Autumn flavor! 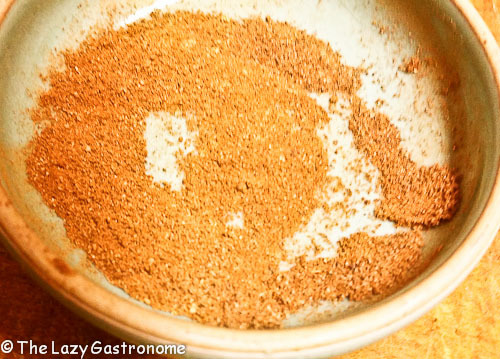 This sounds a lot more complicated than it really is – You can replace all the spices with 2 teaspoons of premixed pumpkin pie spice if you want, but I like to mix my own. 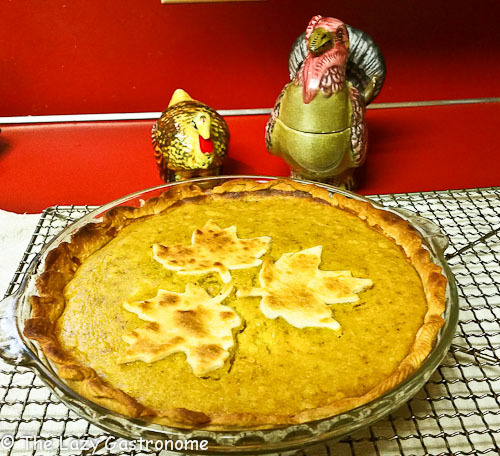 So go head – make a pie – and Enjoy! You can use canned pumpkin, but it’s worth the extra work to use fresh pumpkin – and it’s really not all that much work. Turn it cut side down on a backing dish with a low rack. Put in enough water to just come up to the pumpkin edges. Bake at 350 degrees for about 45 minutes. Remove from the oven and cool. 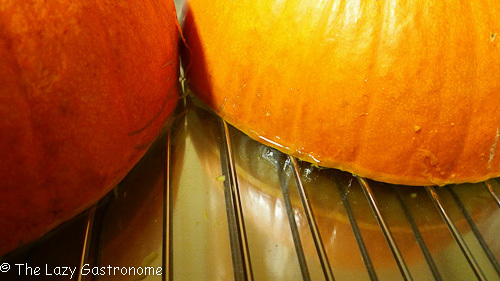 Scoop out the insides of the pumpkin, discarding the skins. Place all the meat in food processor and process until smooth. 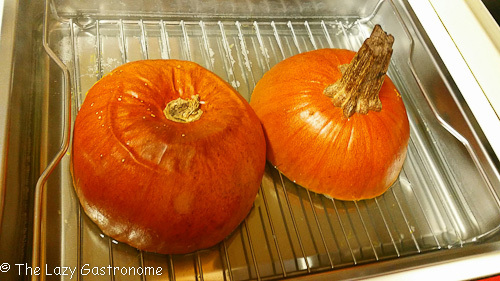 One medium pie pumpkin will yield about 1 ½ cup of puree. Now you’re ready to bake the pie. 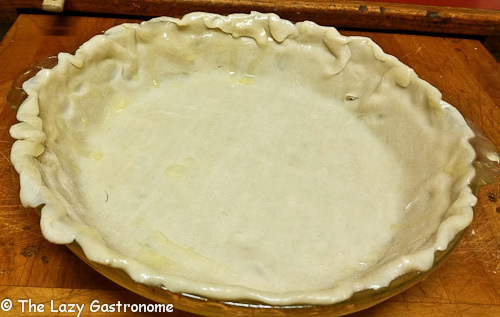 Using one sheet of the dough, place it in a 9 to 10 inch glass pie dish. Brush a little melted butter on the edges of the dough. 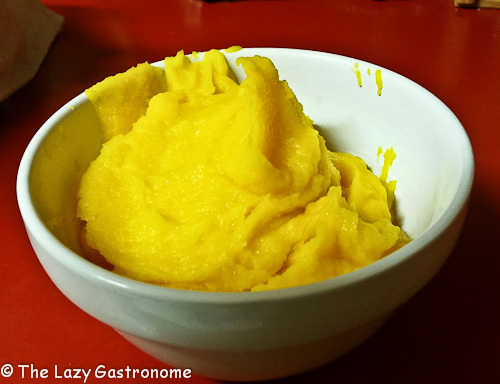 Put all the other ingredients into the food processor and process until smooth and well blended. 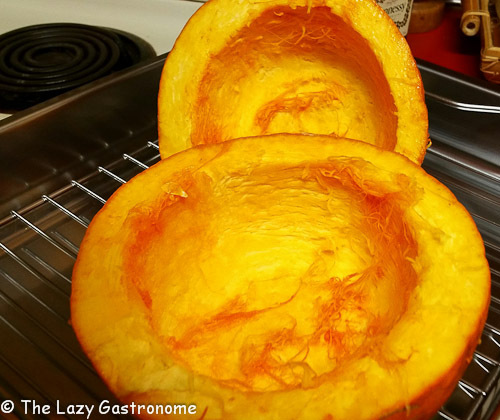 Gently pour into the pie crust and place on a cookie sheet in the oven. Bake for 45 minutes to an hour, until a knife poked in the center comes out clean. 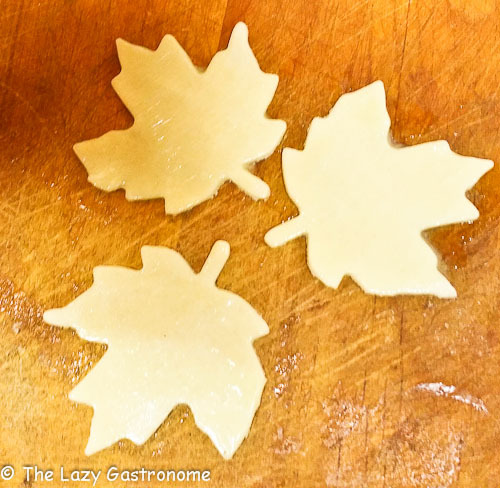 When the pie is removed from the oven and still warm, place the leaf decorations on the top. Allow it all to cool completely before adding the whipping cream. I just used an aerosol can to put puffs around the edges. 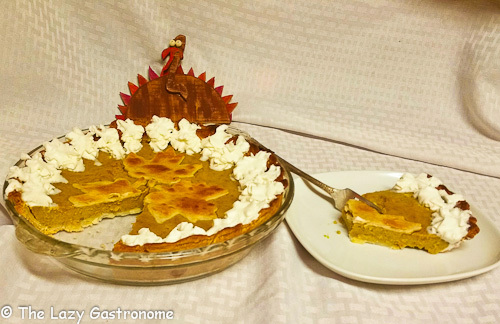 This entry was posted in Holidays, Sweet Treats, Thanksgiving and tagged dessert, family, holidays, pumpkin pie, thanksgiving. Bookmark the permalink. 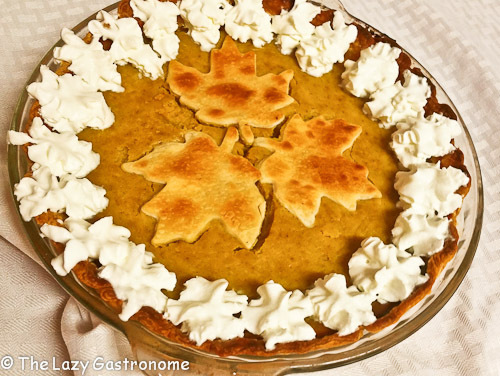 I absolutely love real maple syrup and I bet it adds the perfect touch to pumpkin pie. Thanks for sharing with us on the #HomeMattersParty I hope you will join us again next week. Thanks for featuring my recipe at your party!